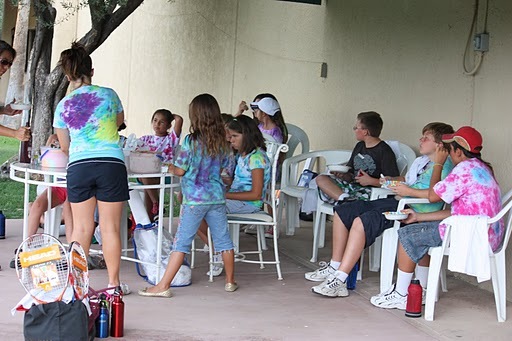 The Hilton El Conquistador Resort hosted a QuickStart Play Day, July 16 for the Picture Rocks Community Center, Tucson. 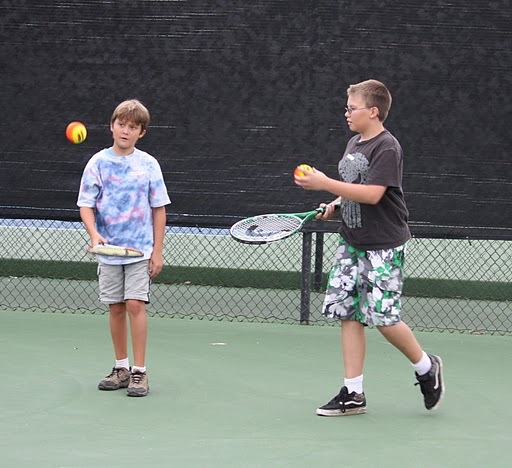 When the recreation van arrived at the tennis courts, fourteen kids jumped out excited to play QuickStart. Jennifer Fuchs, Director and JTT player volunteers Tanisha Cervantez and Jenna Parker, facilitated a clinic and variety of games. The kids played for a couple hours, earned lots of prizes and were treated to an ice cream social. 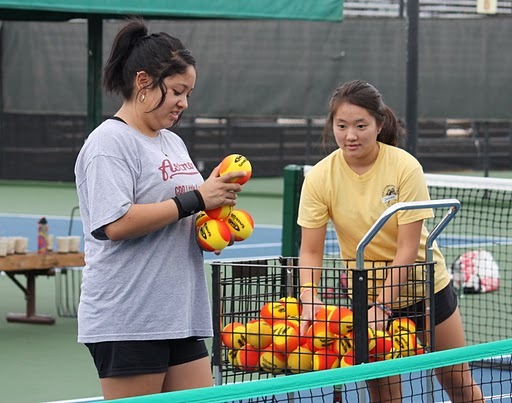 Last spring, Keeley Hutchinson, USTA Community Program Coordinator, Southern AZ first introduced QuickStart to PRCC Director Wanda Crawford and recreation staff Christina Longo. 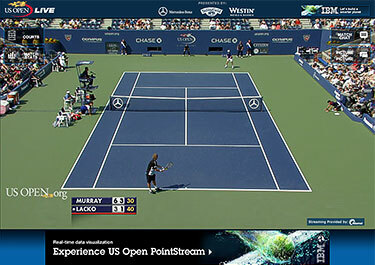 They were thrilled with the format since no courts are required for play and nets can be set up anywhere. PRCC was given equipment on loan so that they could offer QuickStart in their summer program. Hutchinson said, "The community center is a wonderful facility, although somewhat isolated in location. It is an important place because it provides structured activities, opportunities for learning, and it is a welcoming environment for many under served kids in the area." When the PRCC Seniors Club learned about QuickStart and that the center needed funds to purchase equipment, they didn't hesitate to help. Each summer the seniors put together a rummage sale and this year it was another huge success. They raised enough money in sales to donate $500 to buy QuickStart equipment! 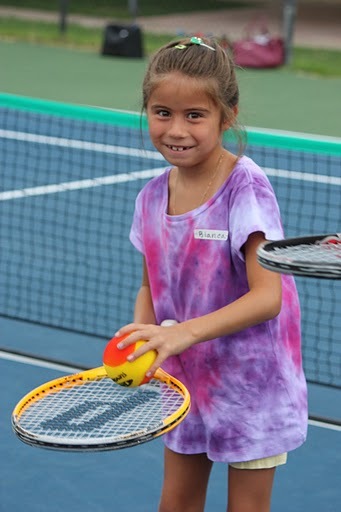 The Hilton El Conquistador's tennis program will continue working with the Picture Rocks Community Center as part of its community outreach commitment. Director Jennifer Fuchs hopes to partner with other county recreation centers and schools on Tucson's northwest side, to get kids playing QuickStart and interested in learning tennis.